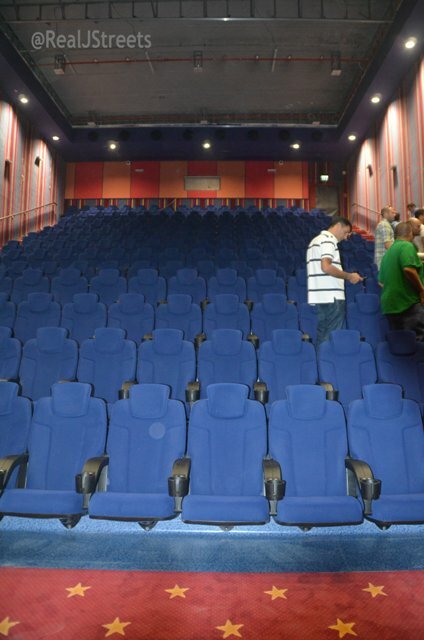 Where is Cinema City in Jerusalem? there seem to be few things on which everyone agrees. with their huge cranes towering in the skyline. 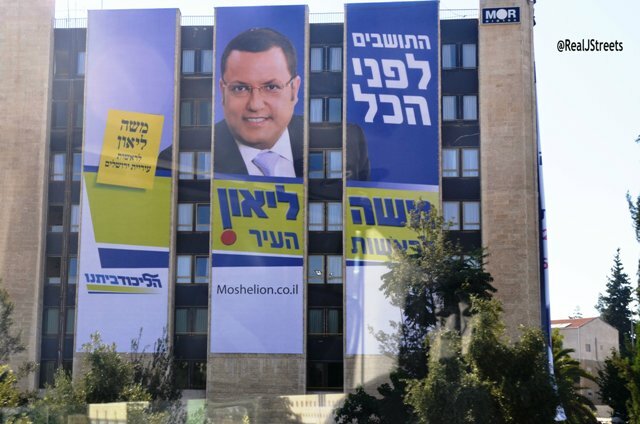 The elections for Mayor of Jerusalem, are set for the fall. 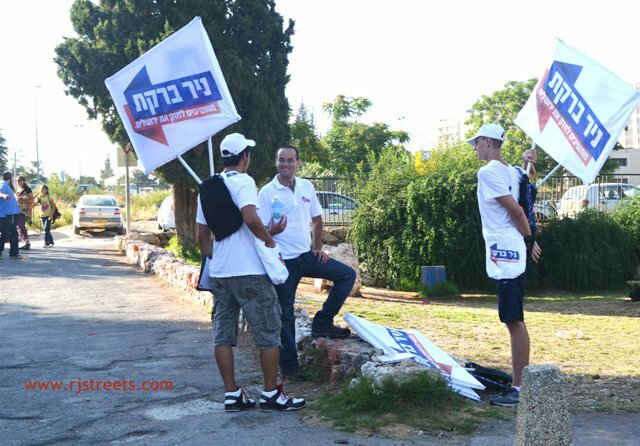 For weeks, current Mayor Nir Barkat has had campaign workers out on the streets. Streets, where recent roadwork has kept residents awake for nights on end. Even on a very busy week, some invitations are hard to refuse. on a tour led by the mayor himself, well, that went to the top of my must-do list. 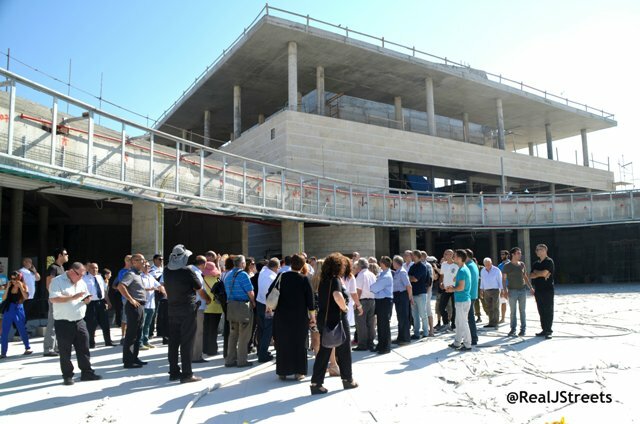 The first stop was the new Cinema City complex. 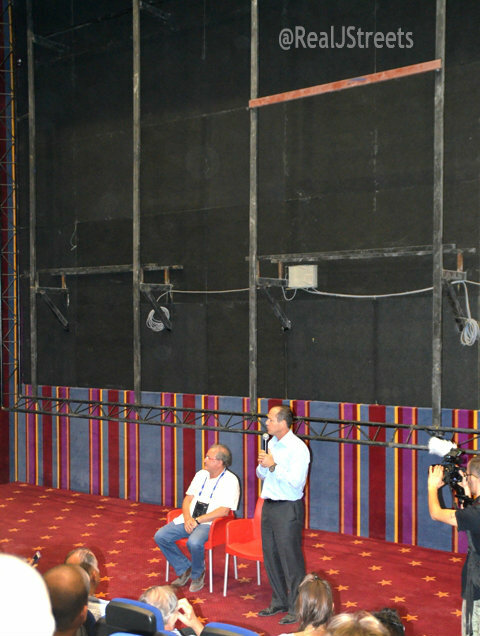 spoke to journalists in front of the space for one of the movie screens. and hard to believe that there is another theater with even better chairs. 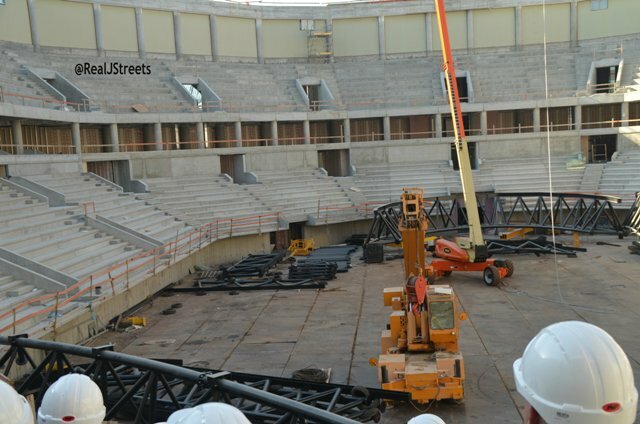 and the largest auditorium is to seat 6,000.
but not of all the construction areas. or even Sukkot time as now anticipated. I wonder how long it will take until the high speed train comes in to this station. but mostly used to hang protest signs. 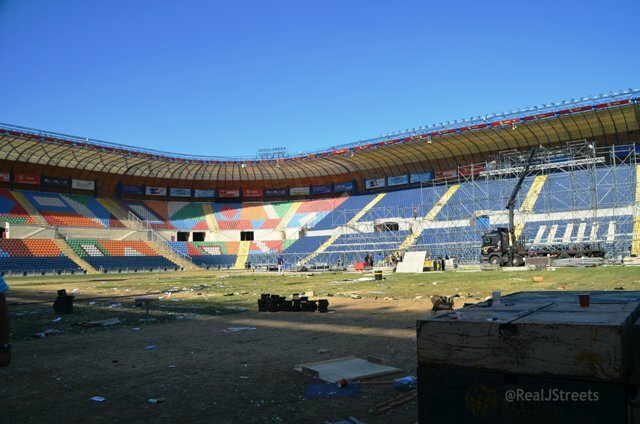 where the massive set of the Maccabiah Opening was being taken down. 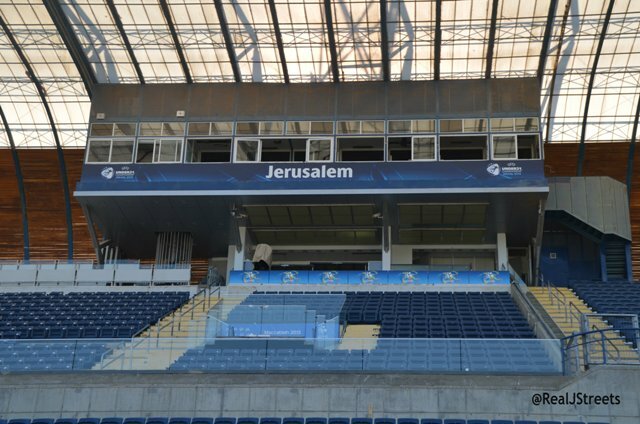 The newly enlarged stadium was being redone for Maccabiah 2013 Closing ceremony. The VIP section looked so very different in daylight. 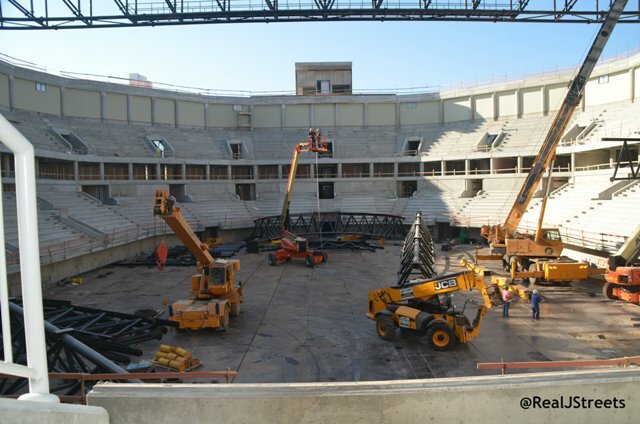 the new sports arena, still under construction,. certainly not with popsicles and a talk by the mayor? that it was impossible to get it in all one shot. 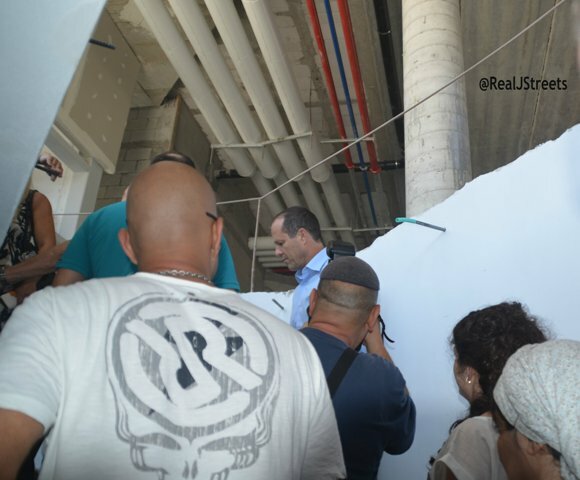 and Mayor Barkat was our personal tour guide to the last stop at First Station. on the roof top of the Old Train Station, the tour concluded. he wants to be re-elected to see his vision for Jerusalem continue. a challenger to the mayor launched his campaign. There was Moshe Lion up on the side of this building, bigger-than-life. a lot of money will be spent. four more photos from different angles. 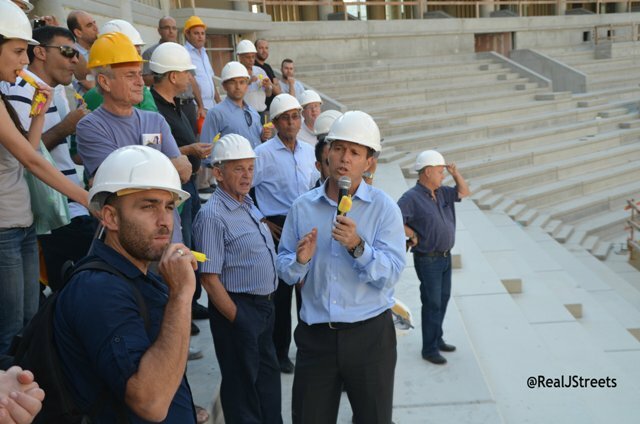 So great to see all the construction and planning in Jerusalem, thanks for sharing! Thanks for sharing. Smart to build underground. I think of Montreal and how much of the city is under the city. Sukkot isn’t far from now, but dragging on for years would not be good. Interested to hear if the other mayoral candidate has something substantial to say. We are all waiting to hear what he has to say, but first he has to move to Jerusalem. Thanks for this- I was wondering where it would be, as I knew it would be at the entrance to the city, but could not see it being built. 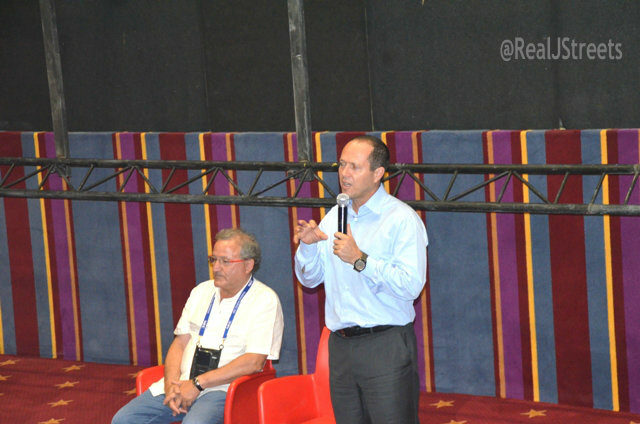 I think Barkat has done a great job, and I certainly hope he gets re-elected. 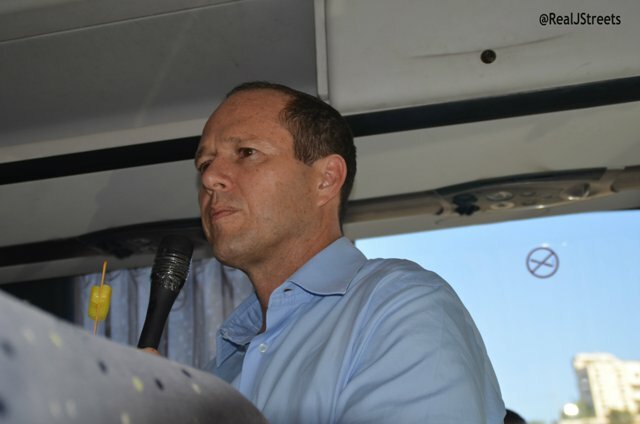 I think Barkat has done a great job as Mayor of Jerusalem as well. In addition, anyone from Israel who can be interviewed by Leslie Stahl of 60 minutes, and walk away with their head up, would get my vote. So where is Cinema City? Underground is very large area to give as a location. Right across that footbridge from the major parking lot near the Supreme Court Building. Very close to where all the new luxury housing is going up. Will have to go back tomorrow and get new photos, it seems to be hard for people to visualize. Americans, Canadians, French, South African or wealthy people just looking for a sweet pied a terre for vacation or the chagim only. 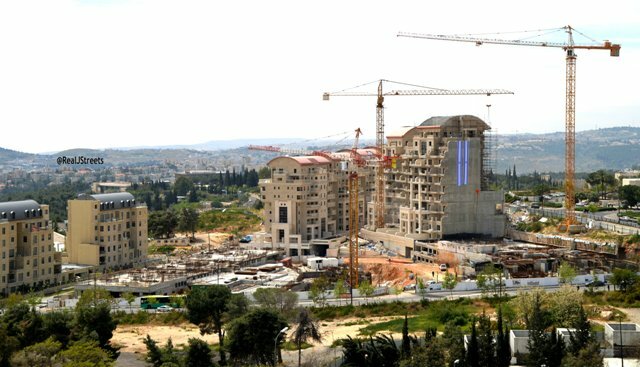 Where is the affordable housing for the simple Jew or the chayalim that come home and want to start life with a family and a home? 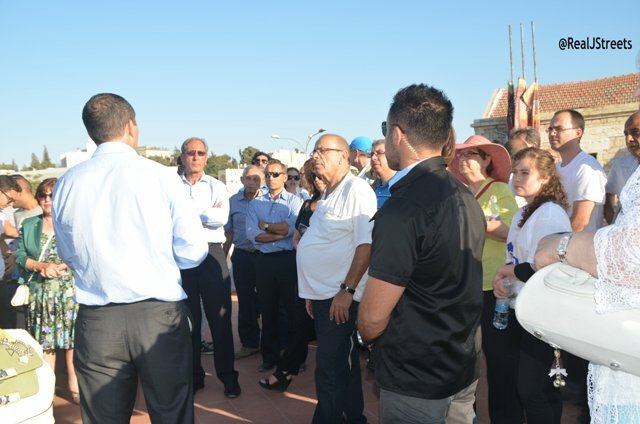 Down the road, chas v’chalila, this city will be split between the haves and have-nots in huge numbers, the Chareidim and the fewer non-Chareidi full time residents and of course, the non-resident population property owners. Just guess which group will be in the majority position for voting. It is not going to be pleasant. Did we REALLY need a new huge sports facility? Do we REALLY need underground movies for the “thousands” of movie goers anticipated? That tax money could have go to affordable housing, better education, more efficient infrastructure, more STREETCLEANERS and GARBAGE pickup.Too late now for me and others to protest, but count on the Chareidim – they are SO good at protesting, especially against sports and movies. Let’s hope the sabotage is kept at a minimum. This is not a screed against what has been planned and built, it is a plea to the mayor and councll to put the city’s and its residents’ needs first. That is the priority of a mayor. Good luck to the new one. So true affordable housing is hard to find, to buy prices are out of sight. Once the Safdie Plan was shot down to keep “green space” the shortage has grown and the situation gotten worse. There are indeed serious issues. B’H, I must be lucky, my streets are cleaned almost daily as well as garbage pick-up. The sports complex and movie theater will be good for the city. 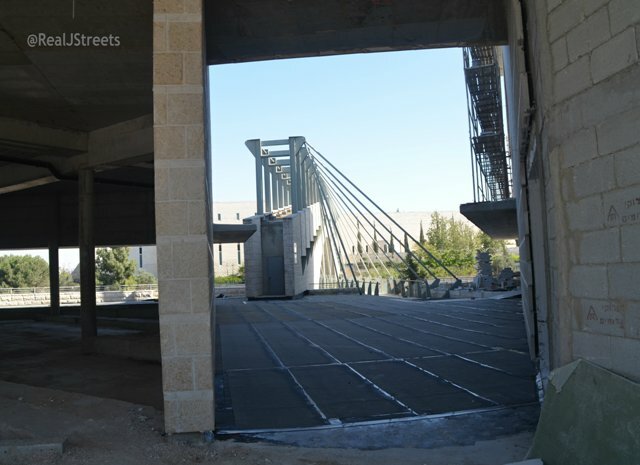 It will attract more people, younger, older families to settle here in Jerusalem. It seems that there is a mssive building taking place with little thought to the transport infrastructure – and if there is no good public and private transport infrastucture, alot of white elephants will be built. The Teddy Kollek stadium is built right across from the Malcha shopping mall – the pedestrian bridge is a great link allowing people after their game at the stadium to have fun in the mall. But if the cinema city is built in isolation from entertainment and transport support, people just won’t go. True these huge structures need transportation support. 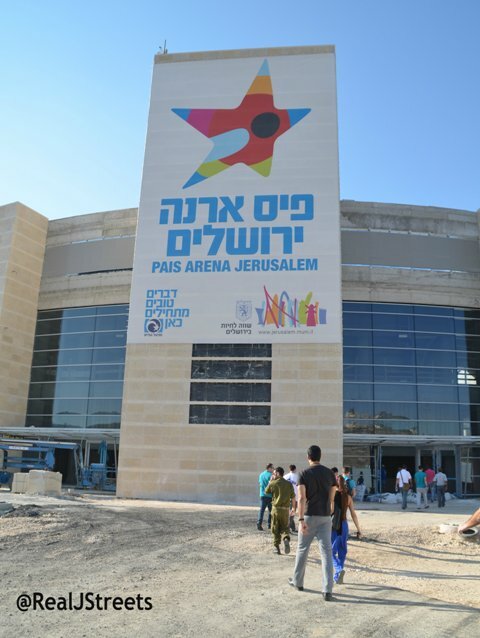 After the Maccabiah Opening Ceremony I had to walk home, but I felt sorrier for the visitors who had no idea how to get home, besides no buses, there were not even taxis available. Cinema City should have the high speed Tel Aviv train stop there, but that will certainly not be running any time soon.